All images courtesy of Vogue, W, Harper's Bazaar, and brand's own Instagram feeds. 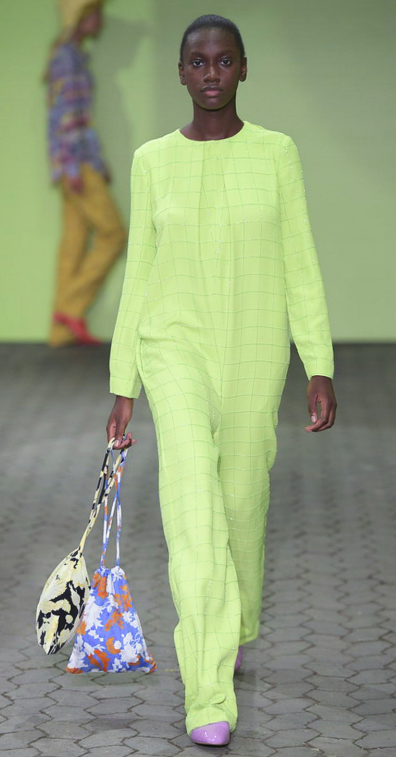 In a place where the cost of living is markedly higher and the temperatures lower than many other parts of the world, what can the recent fashion weeks in Scandinavia - including Copenhagen and Oslo - teach us? Well it turns out, quite a lot. While many accessible fashion brands have been born and bred in this part of the world, there’s a culture of sustainability and wearing what’s worth it, deeply in play here. So aside from enviable cool and people who are seemingly genetically pre-programmed to wear all the beautiful and outlandish things fashion has to offer, there are lessons to be had from up North in how to approach fashion in new and fresh ways - lessons we think the rest of the older guard which we’ll see in the upcoming global fashion weeks - could benefit from. You ride your bike everywhere and the weather in these parts can be challenging to say the least, so you’d think the marriage of fashion and practicality might be an uphill battle. Well, think again. And no, it’s not about yoga pants that don’t really look like yoga pants, it’s about layers and materials that defy their practical and more humble origins. Whether it’s scarves from Holzweiler, whose lambswool styles, always sell out, or Stockholm-based Stutterheim, whose raincoats (with collabs including Marni and Band of Outsiders) wear the tagline of “Scandinavian melancholy at its driest,” it’s about how you can beat mother nature at her game and look good while doing so. 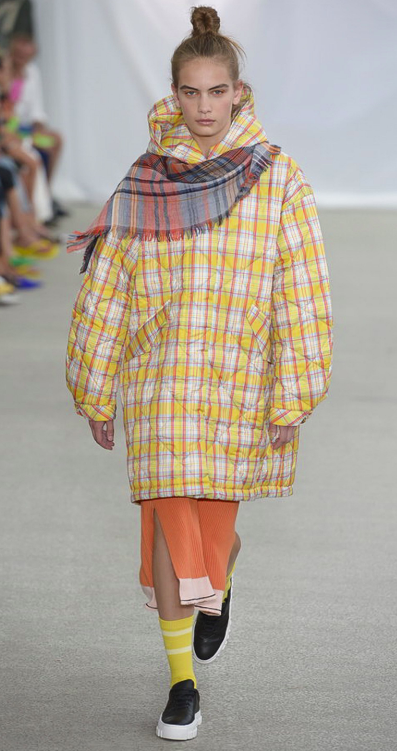 The S/S runways in Copenhagen and Oslo highlighted practical trends including layering, trench coats, parkas, cowboy boots, and midi-length skirts, all of which check the boxes for wearability and practicality. The street style also made a statement in function with flip-flops and bike shorts made to move in. 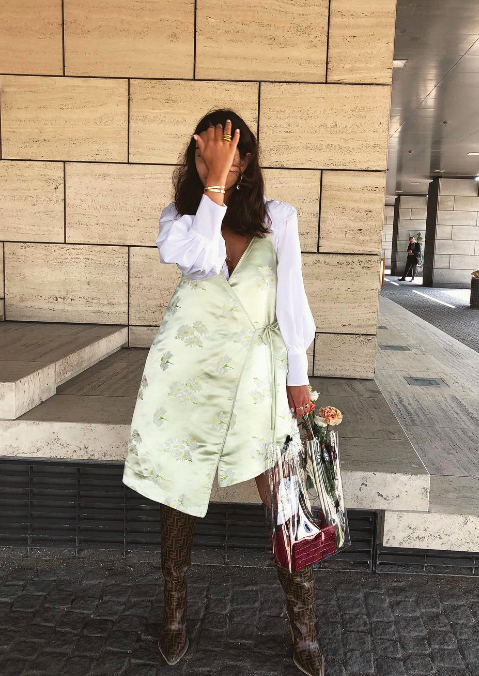 We’re not the first to say it, but Copenhagen star Ganni is undoubtedly leading the pack in what cool comfort looks like, and now being stocked at retailers including Net-A-Porter, Shopbop, and MyTheresa, it’s on track to become a massive global label. 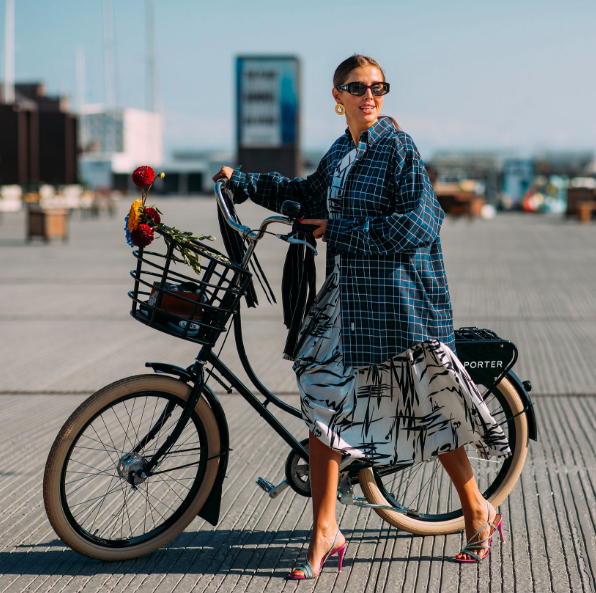 On the one hand, Scandinavian fashion is often known for its more androgynous feel, but at the same time, the street style and runway shows gave us a reminder that the two aren’t mutually exclusive. Flannel shirt over a floral dress? Okay. Heels paired with a utilitarian boiler suit? No problem. 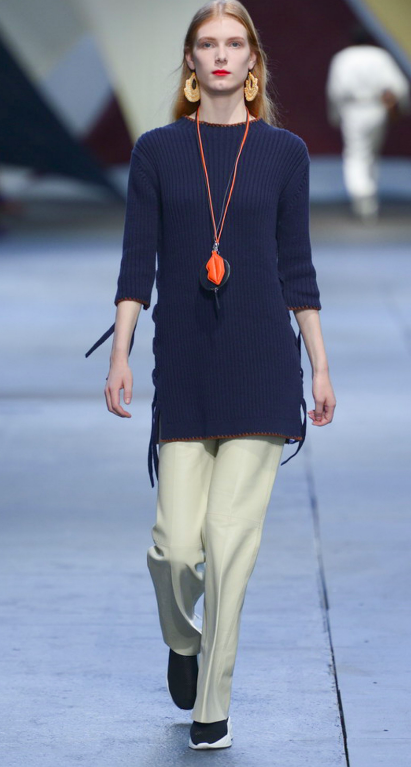 Gauze dresses over menswear trousers? Bring it on. 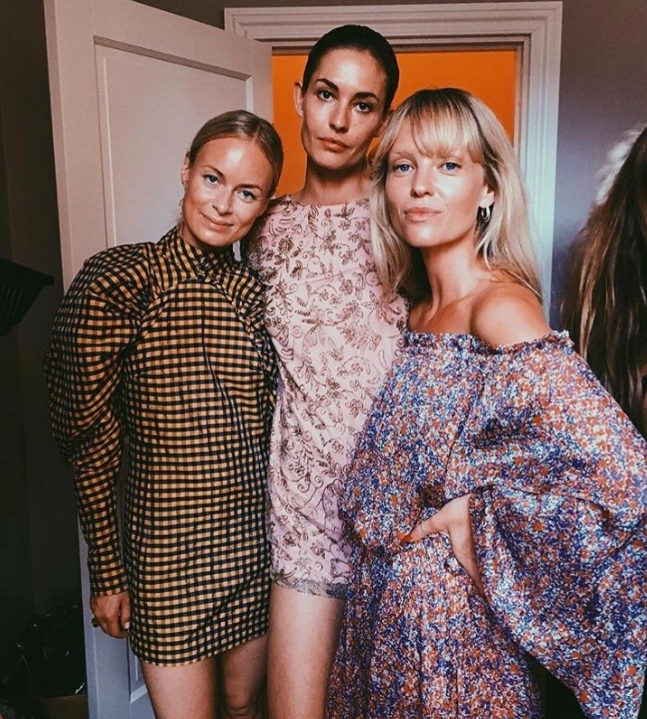 Our eyes were on landmark multi-brand retailer and designer Birger Christensen and its newest collab, Rotate, with its airy and easy dresses in floral and gingham prints. 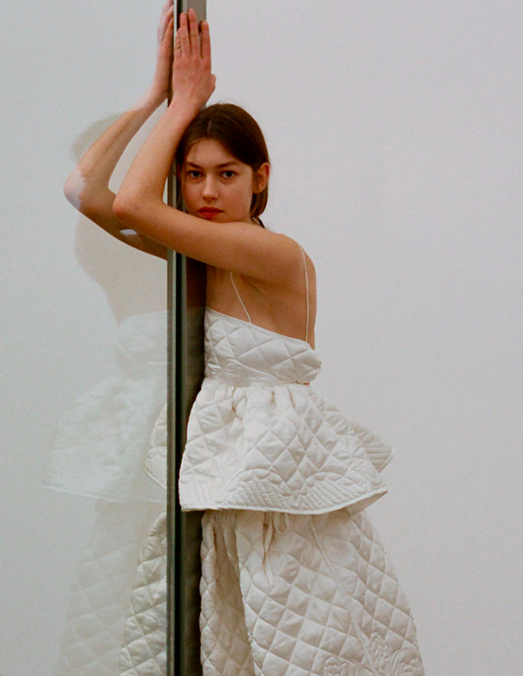 And Cecilie Bahsen, whose quilted and frilled profiles look equally at home paired with heels as they did flatform velcro sandals. We’re betting we’ll be seeing riffs off these styles in stores everywhere in the not-too-distant future. What we love most about Scandi fashion is how they top it all off with the just-right bag, jewelry, and footwear. On the runways, we saw floppy hats (some even layered with head scarves), hiking boots, fanny packs, and statement necklaces. 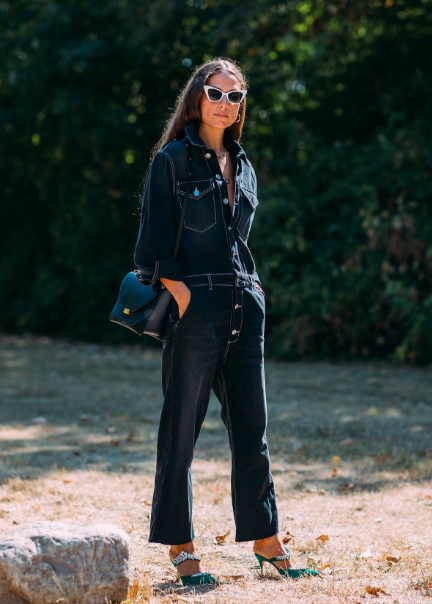 Most of the street style stars opted for bags that pulled everything together, whether that was a brightly-colored clutch or a PVC tote for schlepping stuff between shows. 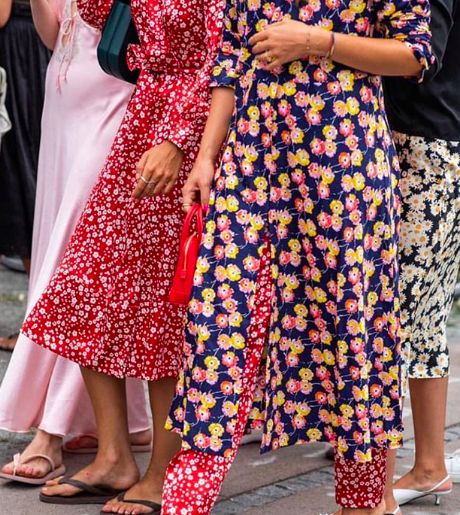 You'd think with everyone looking so chic, it'd come across as painfully so, but alas, the Scandinavian street style crew has shown us all up. 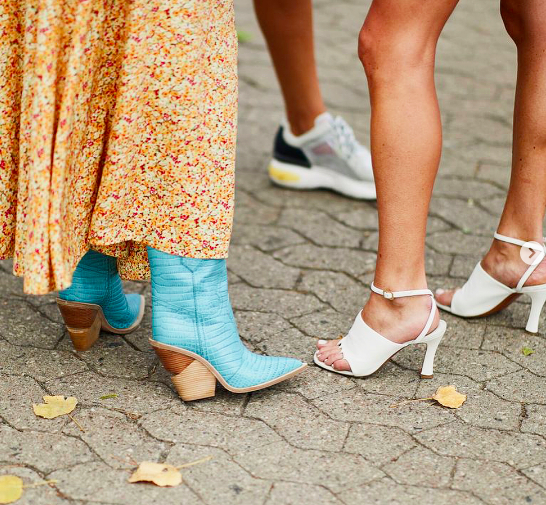 The Great North continues to remind us that there’s a world of fashion beyond Paris, Milan, London, and New York, effortlessly towing the line between accessible and aspirational, and we’re all eyes, ears, feet and toes.